Discover the Challenger Taking the Crossover Segment by Storm! With its lineup of innovative, award-winning vehicles and aspirations for a “zero-collision society”, Honda is leading the way among automakers worldwide. Case in point: the all-new 2016 HR-V crossover. Named 2016 Best Subcompact SUV for the Money and 2016 Best Subcompact SUV for Families, the sporty and stylish Honda HR-V also boasts a five-star Overall Vehicle Score from the National Highway Traffic Safety Administration (NHTSA). We’ve got a closer look at a Honda like no other: the new 2016 Honda HR-V EX. 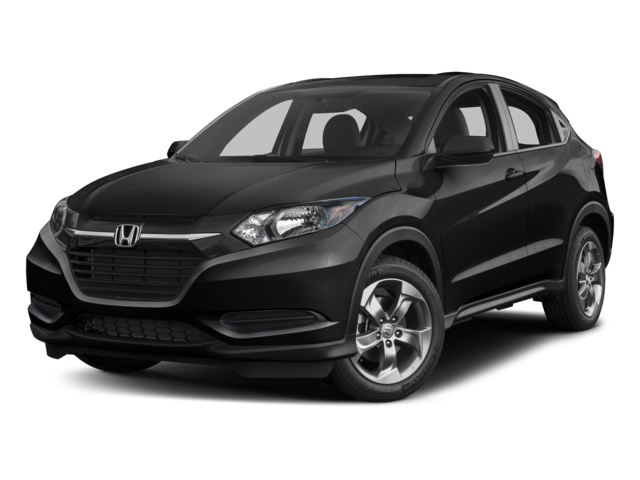 Combining the athletic styling of a coupe with the dynamic versatility of an SUV, the 2016 Honda HR-V EX is truly a jack-of-all-trades. Its aerodynamic profile with long, sleek lines and chiseled curves exudes a confident “look-at-me” attitude. Chrome accents, rear spoiler, and a power tilt/sliding sunroof add plenty of curb appeal. With the HR-V EX, the beauty lies in the details as well as in the execution. Inside, the 2016 HR-V EX is remarkably spacious and well-equipped. The cabin features an abundance of high-quality, soft-touch materials and comfortably seats five. Standard equipment includes rearview camera with guidelines, a USB port, 5-inch LCD display, Pandora Radio, Bluetooth HandsFreeLink phone connectivity, and steering wheel-mounted controls. Standard safety and driver-assistive features include four-channel anti-lock brakes (ABS) with Brake Assist and Hill Start Assist, Vehicle Stability Assist (VSA) electronic stability control system, multiple-threshold front airbags, driver and front passenger side airbags, side-curtain airbags for all outboard seating positions, a Tire Pressure Monitoring System (TPMS), and Honda LaneWatch display. Under the hood of the 2016 Honda HR-V EX lies a highly-refined 1.8-liter SOCH 16-valve 4-cylinder engine with i-VTEC valvetrain that is capable of producing 141 horses and 127 pound-feet of torque. Choose between a quick-shifting 6-speed manual transmission or a fuel-efficient continuously variable transmission (CVT) as well as front-wheel or Real Time All-Wheel Drive (AWD). With a comprehensive 3-year/36,000-mile new vehicle limited warranty, a 5-year/60,000-mile powertrain limited warranty, 24-hour roadside assistance, and a combined EPA rating of up to 31 miles per gallon, the 2016 Honda HR-V EX offers a value and efficiency too good to pass up. “…the HR-V enters the segment poised to strongly challenge established and all-new models alike,” praises Cars.com. Discover the challenger taking the crossover segment by storm: visit your NYC Car Dealer and test drive the all-new 2016 Honda HR-V EX at Major World today! 0 comment(s) so far on Discover the Challenger Taking the Crossover Segment by Storm!